TNDMII Gil Vicente: Touching the Past, alongside the Future. Presenting augmented reality and gestural navigation in two interactive installations, and the encompassing exhibition design on commission for the Teatro Nacional D.Maria II in Lisbon, Portugal to commemorate the famous Portuguese playwright Gil Vicente. 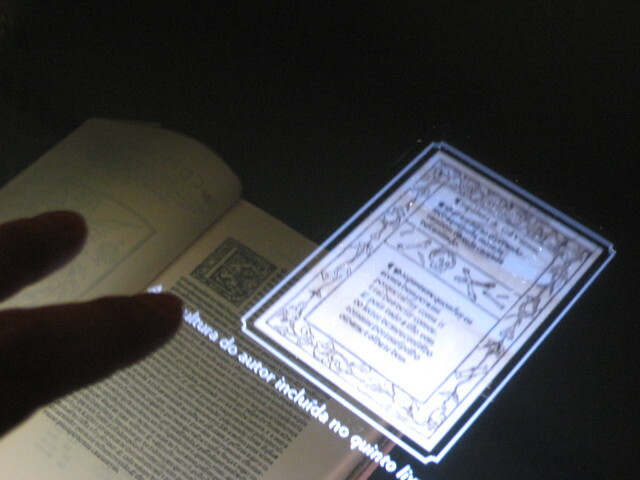 Showcasing 16th Century manuscripts is no easy feat, but with NearInteraction’s Augmented Reality Vitrine with Gestural Navigation the audience could at once see both the original books yet were also able to gesturally browse pertinent images and excerpts chosen by the theatre’s historical experts. The second installation, a Gestural Guided Archive Stand, is the cumulation of many years of collected footage, imagery and sound clips of several hundred performances. 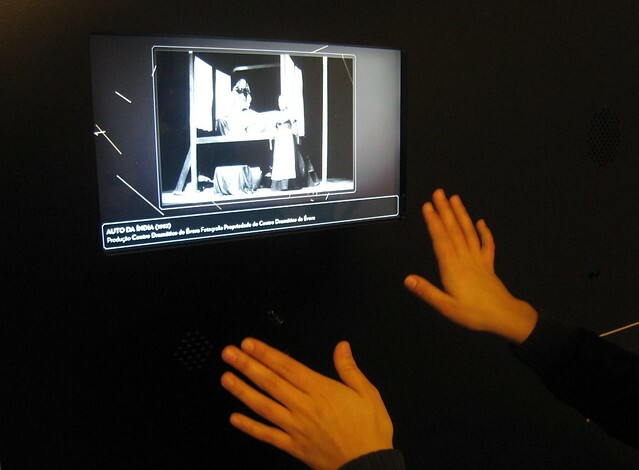 The audience can browse and pause the content intuitively with the mere movement of their hand whilst listening to various clips that are activated by an embedded proximity sensor activating sound. The exhibition will be shown at the Teatro Nacional D.Maria II in Lisbon, Portugal throughout May 2010.